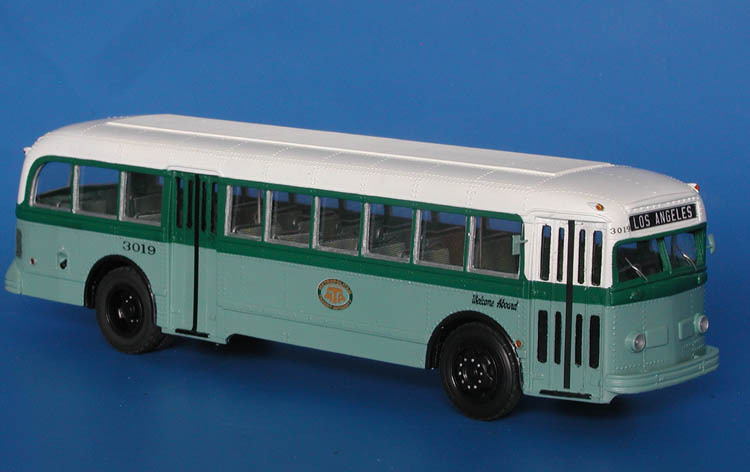 Chicago, North Shore & Milwaukee Railroad bought twenty 44-passenger model 798 White buses in 1947 and two more in 1948. They were numbered in 25-46 series. They provided the service within and between the cities of Waukegan and North Chicago, south to the Great Lakes Naval training center, and north to the Illnois-Wisconsin state line. 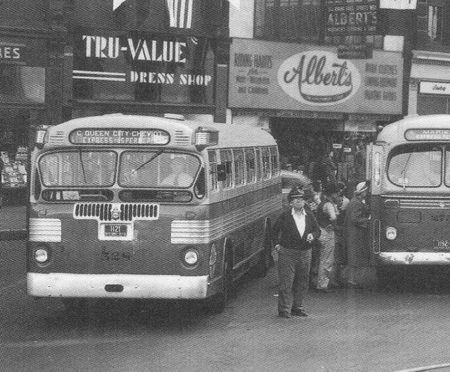 The Waukegan - North Chicago Transit Co. initiated service in June 1948 and it replaced the service previously operated by the CNSM Railroad. Photo: Al Reinschmidt. 1946/48 White 798 (Los Angeles Metropolitan Transit Authority 2220-2289; 3000-3024 series). 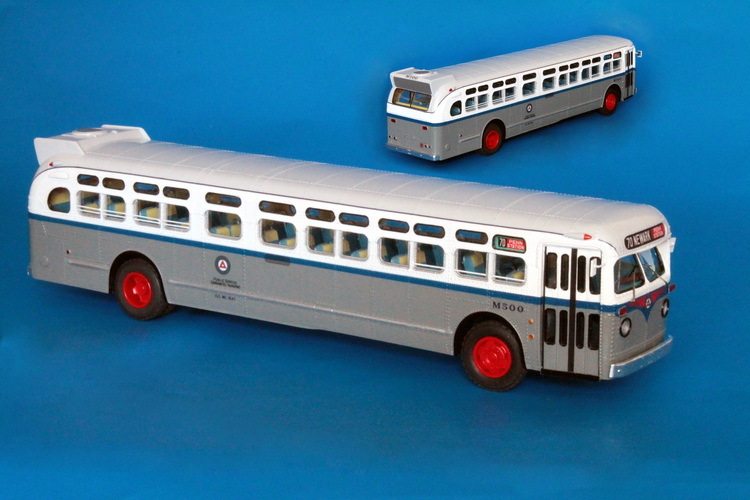 1958 GM TDM-5106 (Public Service Coordinated Transport M500-M521 series). 1947 Twin Coach 44-D (Cincinnati Street Railway 523-532 series).